Sip, Sip, Rosé! Raise a Glass and Drink Pink! 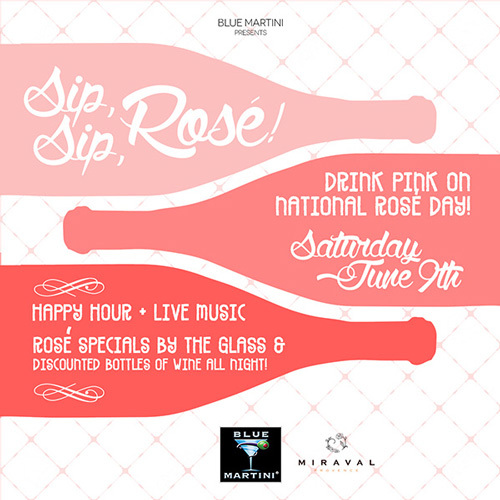 Join us at one of our 11 Blue Martini locations for National Rosé Day on Saturday, June 9th! Enjoy Rosé specials by the glass and discounted bottles of wine all night! 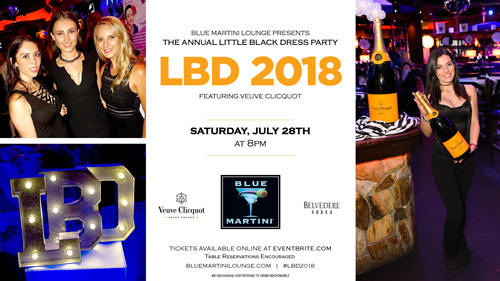 As always, Blue Martini offers the best Happy Hour and Live Entertainment in the Nation. Be part of the Rosé celebration and share your photos with #BlueMartini and #NationalRoséDay2018!